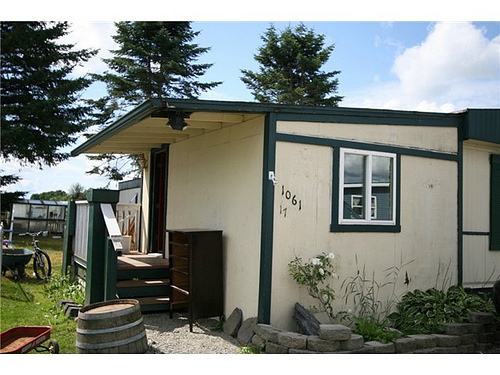 This manufactured home would be a great starter home for those who are handy. IT is in a well maintained park on a private road. The back of home looks out over an open field. 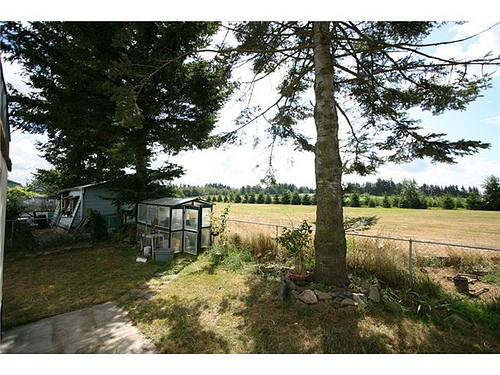 There is a shop/storage unit and a green house for the garden enthusiast. Covered entry/mud room at the front door. 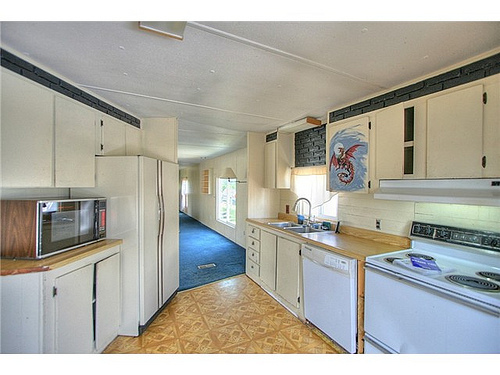 All appliances stay including the microwave.